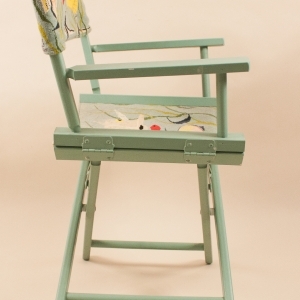 British Colonial and art deco hardwood furniture fuse form and function. 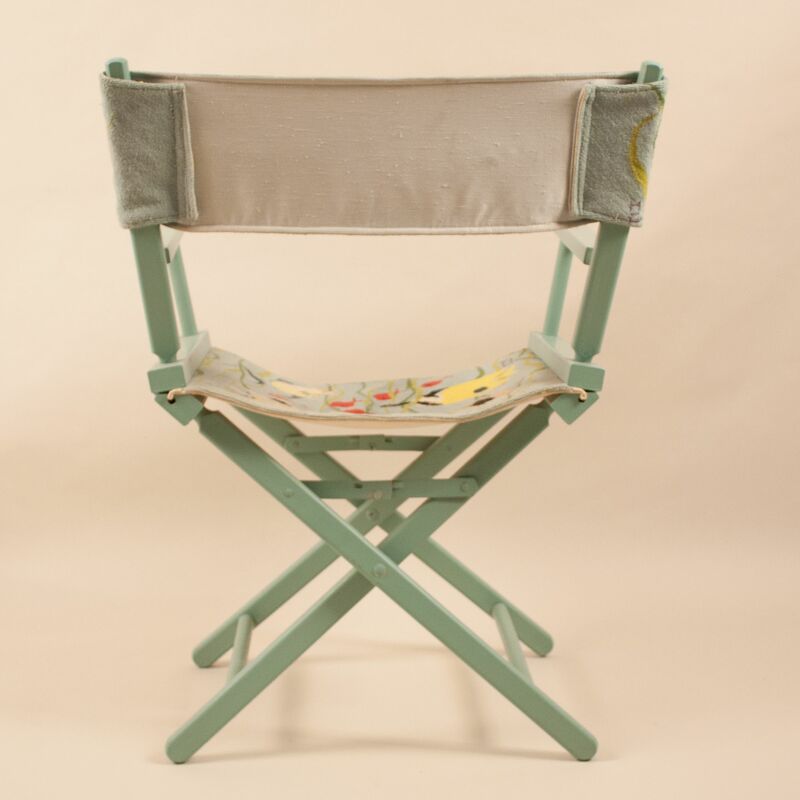 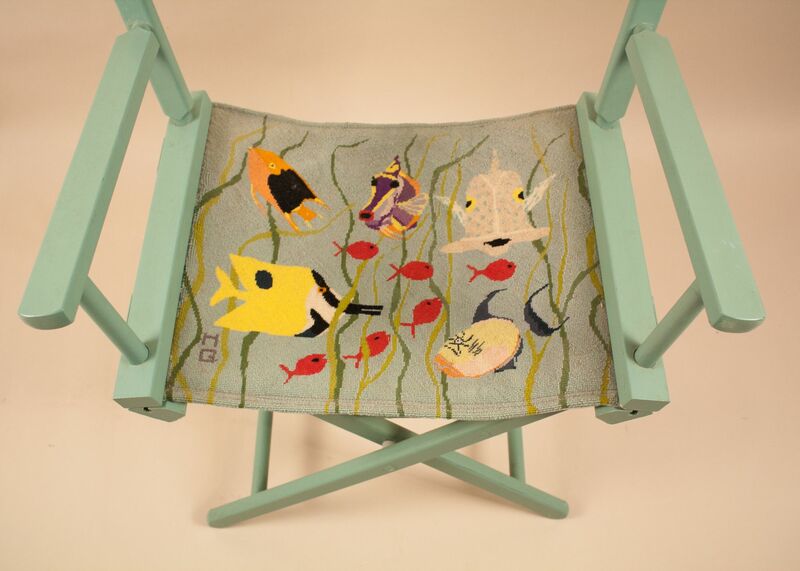 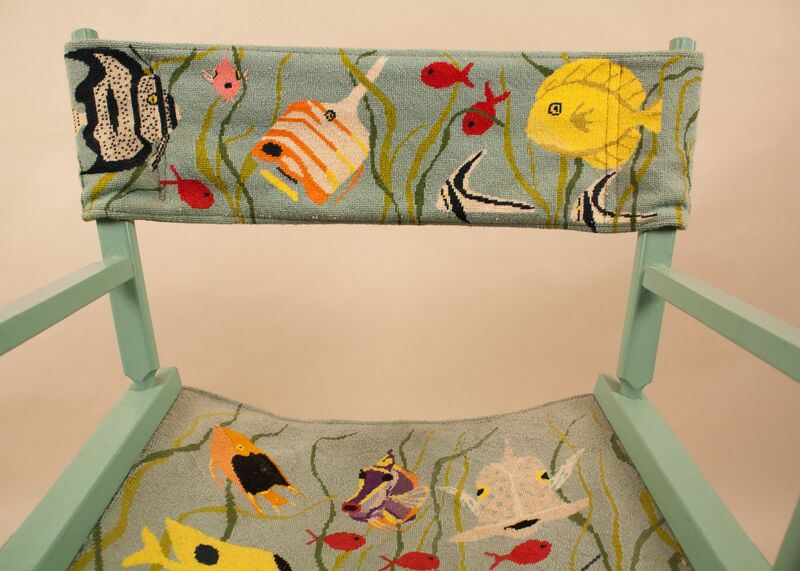 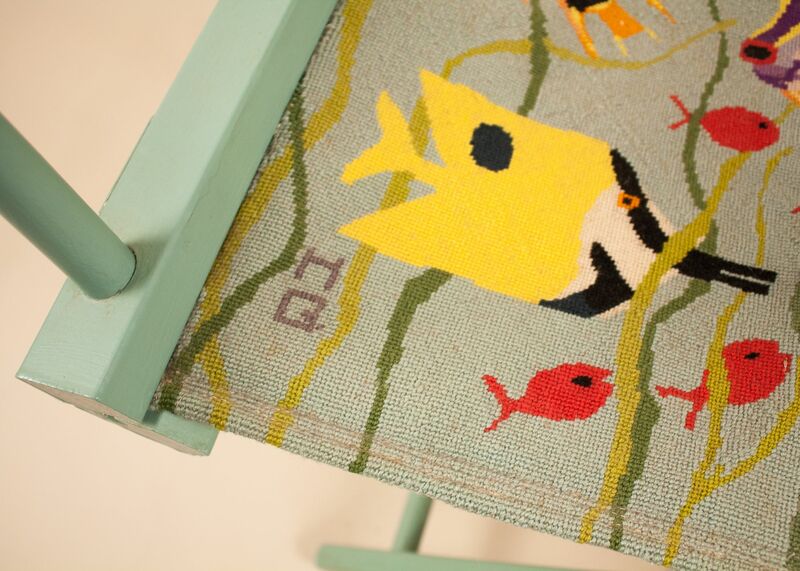 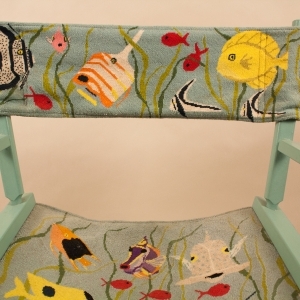 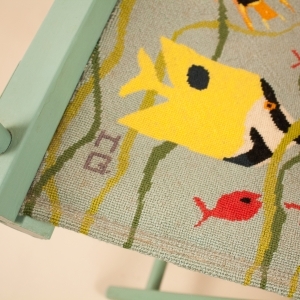 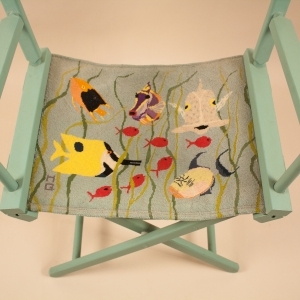 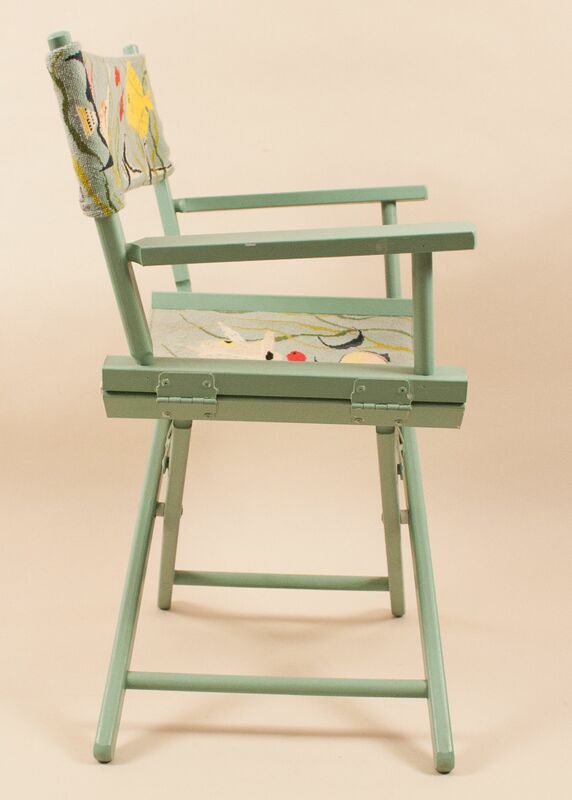 A cheerful mint-colored painted director's chair with neatly hand embroidered needlepoint of tropical fish in a reef scene. 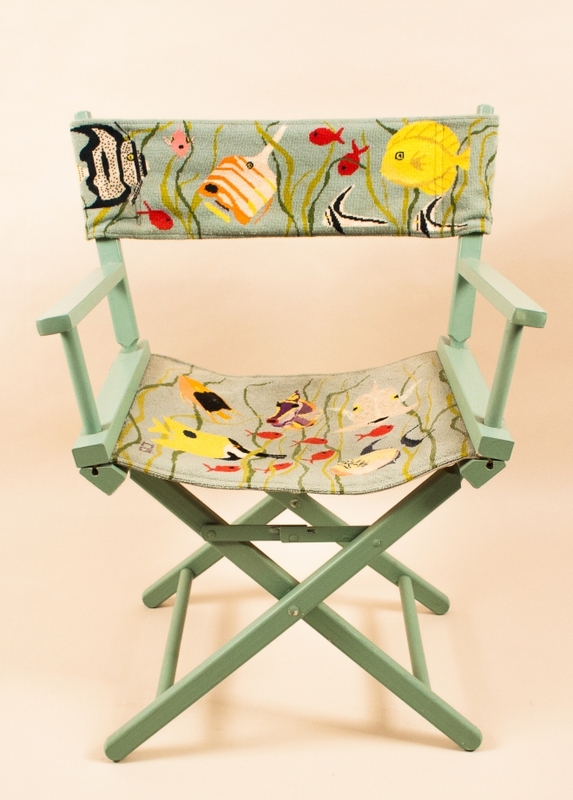 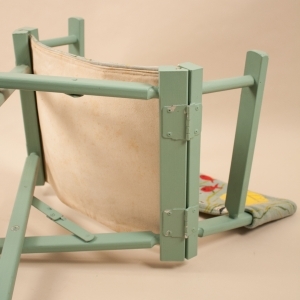 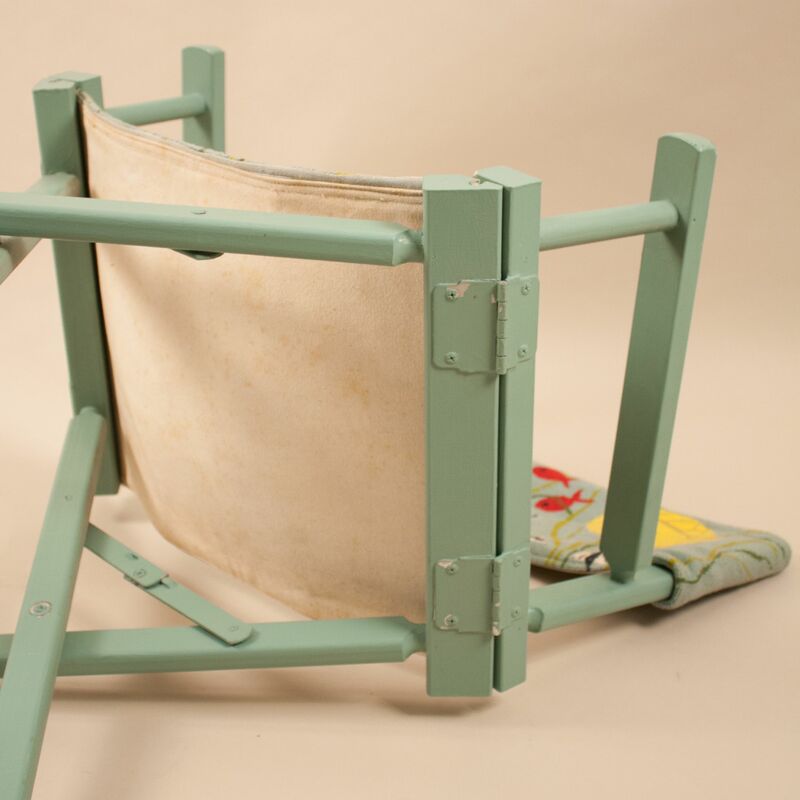 The handwork is signed with a stitched "HQ" and is backed with canvas fabric (see images 5 and 6).